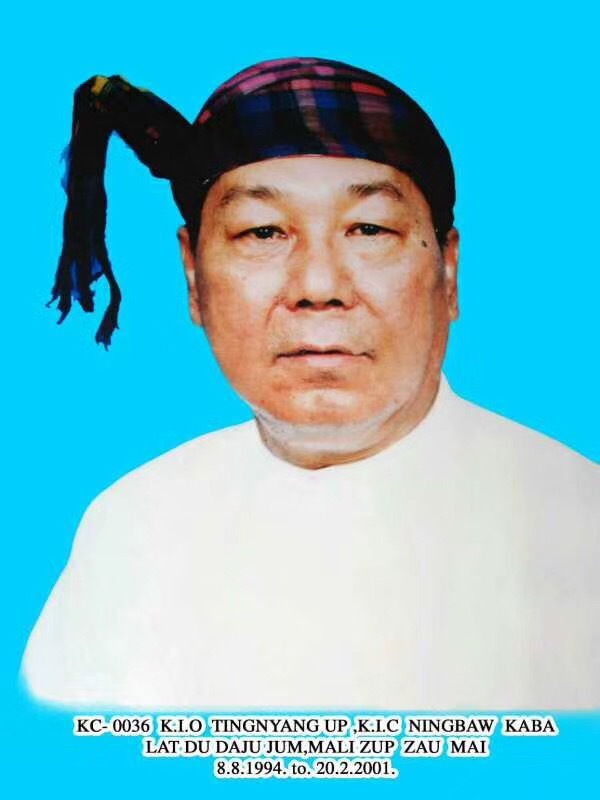 Du Kaba Malizup Zau Mai passed away at a private hospital in Rangoon after a long illness on October 27. Du Kaba Zau Mai was of the Nhkum clan but apparently took Malizup (Mali River Confluence) as his family name to honor his Hka Hku heritage. He was one of the founding members (popularly referred to as the 7 Stars) of the Kachin Independent Army (KIA). It was during his student days at Rangoon University that he and the other 6 Kachin university students got together to secretly plan a group that would fight for Kachin rights. They had been frustrated by the lack of development and self-determination rights for the Kachin in a system centrally controlled from Rangoon. Their deliberations led to the forming of the Kachin Independence Army (KIA) in February 1961, convinced that true autonomy could only be achieved by the taking up of arms. Du Kaba Zau Mai, as secretary of the 7 Stars Group, was assigned the responsibility of overseeing administrative affairs. As such, he served in the Burma Civil Service for a couple of years after graduation to gain administrative experience. It was only in 1963, that he abandoned his position as Sub Divisional Officer at Sinlum, to join the KIA. He was also notable as a signatory to the historic 1994 agreement between the KIO and the State Law and Order Restoration Council (SLORC) military government that ushered in 17 years of ceasefire. Maran Brang Seng, as Chairman at that time, was to sign on behalf of the KIO, but on the verge of signing the treaty, he suffered a massive stroke that left him paralyzed. And so Du Kaba Zau Mai as Vice Chairman, took over and signed the treaty in his stead. When Chairman Brang Seng passed away in Aug 1994, Du Kaba Zau Mai was duly elected Chairman and Chief of Staff of the KIO/KIA. However in 2001, an internal coup stripped him of all his posts and placed him under house arrest. He was only allowed to go free in 2004, under the pretext of retiring for “health reasons”. Reaction to his legacy as a leader has been mixed. Most of the negative reaction stems from his time at the helm of the KIO/KIA after the 1994 ceasefire treaty. His leadership style came under criticism as being politically and militarily inept. 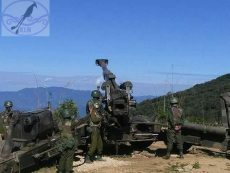 It is a fact that under his watch, rampant exploitation of Kachin natural resources by foreign and government “crony” companies took place, and a marked increase in military deployments in Kachin areas occurred. Some have even gone so far as to label him a “traitor” to Kachin ideals. Then there are those who view his leadership role in a more positive light. They are among those who knew him and had worked closely with him. Dr. Manam Tu Ja, a former Vice President of the KIO, and current leader of the Kachin State Democracy Party (KSDP), asserts in an interview with the Burmese Program of the BBC soon after Du Kaba Zau Mai’s demise, that he was a skilled leader, selfless in his dedication to the Kachin cause. Also, there are those within the KIA who attest to his military prowess, saying he is the only general with more than 100 battlefield victories under his belt, adding that the most the other generals had achieved was around 50, never even near a hundred. Daw Lahpai Seng Raw, founder of the Metta Development Foundation, credits Du Kaba Zau Mai with providing her the foresight and support needed to establish Metta, the non-governmental organization that has been at the forefront helping communities recover and rebuild from the effects of civil war and natural calamities, since its inception in 1997. Not surprisingly, the most touching tribute to Du Kaba Zau Mai’s legacy, came from his only son Padang Zau Du. In his eulogy, he related his father’s response to the internal coup that put him under house arrest for about 3 years. He said that at the time of the coup, many of his loyal followers were ready to take up arms to defend him and resist the attempt to remove him from his position, but his father stopped them saying he was willing to be taken into custody, even give up his life if needed, to prevent his beloved KIO/KIA from being split into two. To his son, that is “true courage”, a measure of his strength of character, and a legacy to be treasured by him and his family.